HERTFORDSHIRE, England, PITTSBURGH and BENGALURU, India, Nov. 30, 2017 /PRNewswire/ -- Mylan N.V. (NASDAQ, TASE: MYL) and Biocon Ltd. (BSE code: 532523, NSE: BIOCON) today announced that the European Medicines Agency (EMA) has accepted for review Mylan's Marketing Authorization Applications (MAA) for proposed biosimilar trastuzumab and proposed biosimilar pegfilgrastim. Trastuzumab is used to treat certain HER2-positive breast and gastric cancers. Pegfilgrastim is used to reduce the duration of neutropenia (low count of neutrophils, a type of white blood cells) and the incidence of fever associated with neutropenia in adult patients treated with chemotherapy in certain types of cancer. EMA acceptance of the submissions follows an earlier withdrawal of both applications in response to an audit conducted by the European inspecting authority of Biocon's drug product facility. Biocon has completed the Corrective and Preventive Actions (CAPAs) outlined as a result of the audit observations. The CAPAs will be confirmed during reinspection, which will be completed as part of the regulatory review process. Mylan President Rajiv Malik commented: "We are extremely pleased with the acceptance of our MAAs. Having gone through initial reviews of the applications and after completing the CAPAs from the EMA audit, we are even more confident with the strength of our MAAs. Additionally, the Voluntary Action Indicated (VAI) designation we received from FDA gives us further confidence in the readiness of the manufacturing site. We now look forward to moving ahead with the rest of the regulatory review process in Europe and to bringing these important treatment options to cancer patients. "These developments also demonstrate Mylan's commitment to our partnership with Biocon, the strength of the collaboration's scientific and manufacturing capabilities, and our relentless approach to increasing access to and affordability of important treatment options in Europe and around the world through the introduction of biosimilars." Dr Arun Chandavarkar, CEO & Joint Managing Director, Biocon said: "EMA's acceptance for review of the Marketing Authorization Applications (MAAs) for our proposed biosimilars of trastuzumab and pegfilgrastim is indeed a welcome development. These applications were resubmitted upon completion of the Corrective and Preventive Actions (CAPAs), including the modifications of our aseptic drug product facility. We expect these CAPAs to be verified during inspection as part of the review process. We continue to work closely with our partner Mylan in engaging with EMA to provide these high quality, affordable therapy options for cancer patients in Europe." Biocon Limited, publicly listed in 2004, (BSE code: 532523, NSE Id: BIOCON, ISIN Id: INE376G01013) is India's largest and fully-integrated, innovation-led biopharmaceutical company. As an emerging global biopharmaceutical enterprise serving customers in over 120 countries, it is committed to reduce therapy costs of chronic diseases like diabetes, cancer and autoimmune. Through innovative products and research services it is enabling access to affordable healthcare for patients, partners and healthcare systems across the globe. It has successfully developed and taken a range of Novel Biologics, Biosimilars, differentiated Small Molecules and affordable Recombinant Human Insulin and Analogs from 'Lab to Market'. Some of its key brands are INSUGEN® (rh-insulin), BASALOG® (Glargine), CANMAb™ (Trastuzumab), BIOMAb-EGFR™ (Nimotuzumab), Evertor® (Everolimus) and ALZUMAb™ (Itolizumab), a 'first in class' anti-CD6 monoclonal antibody. It has a rich pipeline of Biosimilars and Novel Biologics at various stages of development including Insulin Tregopil, a high potential oral insulin. This press release includes statements that constitute "forward-looking statements," including with regard to the CAPAs being confirmed during reinspection, which will be completed as part of the regulatory review process; Mylan being even more confident with the strength of our MAAs; the VAI designation we received from FDA giving us further confidence in the readiness of the manufacturing sites; looking forward to moving ahead with the rest of the regulatory review process in Europe and to bringing these important treatment options to cancer patients; and that these developments demonstrate Mylan's commitment to our partnership with Biocon, the strength of the collaboration's scientific and manufacturing capabilities, and our relentless approach to increasing access to and affordability of important treatment options in Europe and around the world through the introduction of biosimilars. These statements are made pursuant to the safe harbor provisions of the Private Securities Litigation Reform Act of 1995. Because such statements inherently involve risks and uncertainties, actual future results may differ materially from those expressed or implied by such forward-looking statements. 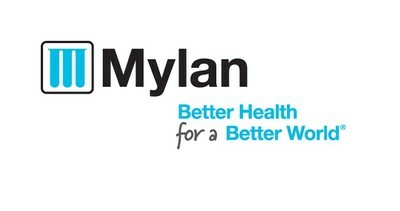 Factors that could cause or contribute to such differences include, but are not limited to: any changes in or difficulties with Mylan's or its partners' ability to develop, manufacture, and commercialize products; any regulatory, legal, or other impediments to Mylan's or its partners' ability to bring products to market; Mylan's and its partners' ability to protect intellectual property and preserve intellectual property rights; the effect of any changes in Mylan's or its partners' customer and supplier relationships and customer purchasing patterns; other changes in third-party relationships; the impact of competition; changes in the economic and financial conditions of the businesses of Mylan or its partners; the scope, timing, and outcome of any ongoing legal proceedings and the impact of any such proceedings on Mylan's or its partners' business; actions and decisions of healthcare and pharmaceutical regulators, and changes in healthcare and pharmaceutical laws and regulations, in the United States and abroad; risks associated with international operations; other uncertainties and matters beyond the control of management; and the other risks detailed in Mylan's filings with the Securities and Exchange Commission. Mylan undertakes no obligation to update these statements for revisions or changes after the date of this release.